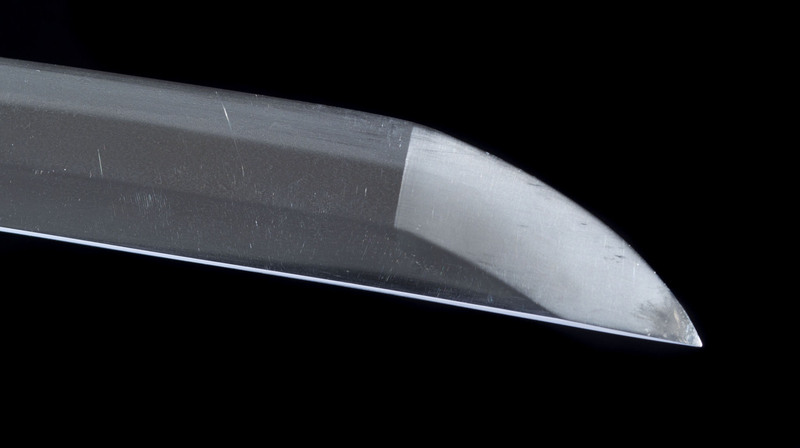 Rare Katana Yamato from Kanabo school. 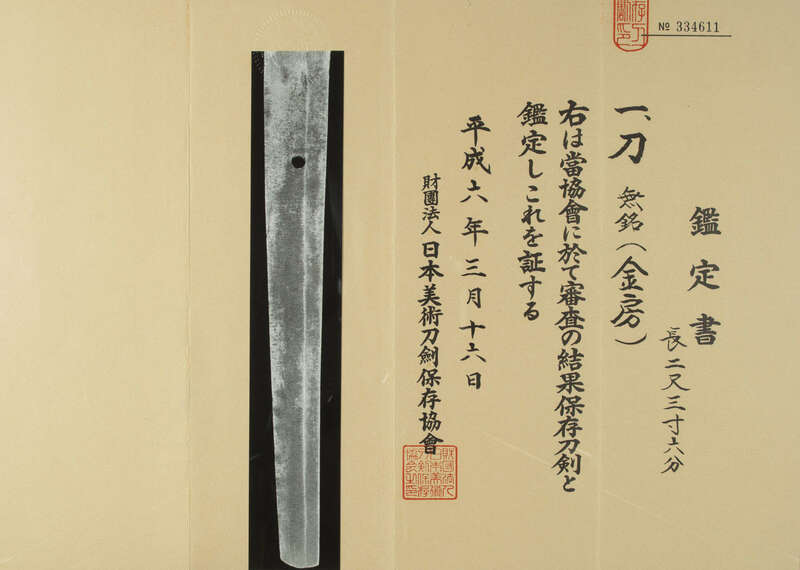 Koto period, late Muromachi (approx 1520). This small school was created late in Yamato, at the end of the Muromachi period. Its name comes from the fact that the blacksmiths added « Kanabo », the place of establishment of the school, to their patronymic in their signature. It came from a branch of the Sue Tegai school by Masanaga. 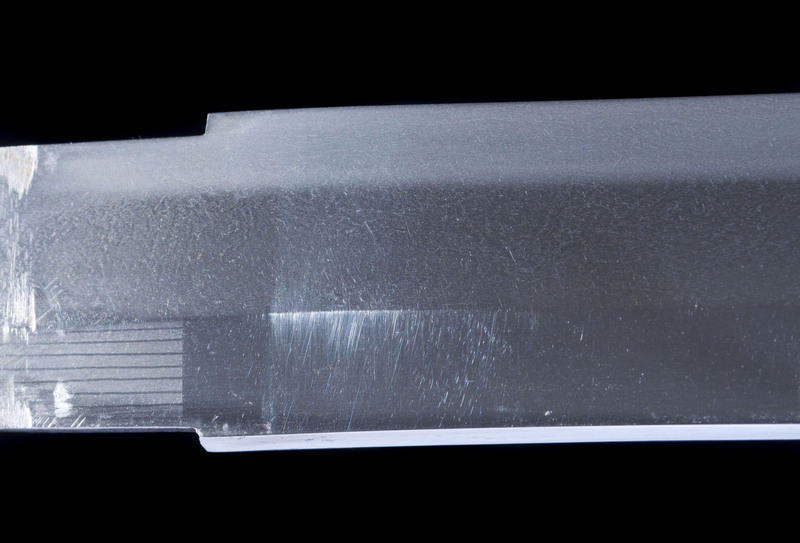 Like most blades forged by this school, this Katana is tall, heavy and massive, made for war. 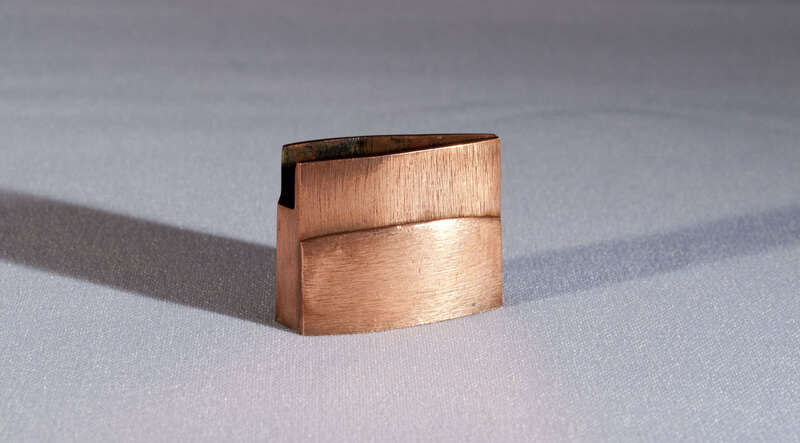 The polishing is quite old but very acceptable, without any Kizu (default). Jihada in itame with masame in shinogi ji. Hamon in chu suguha. 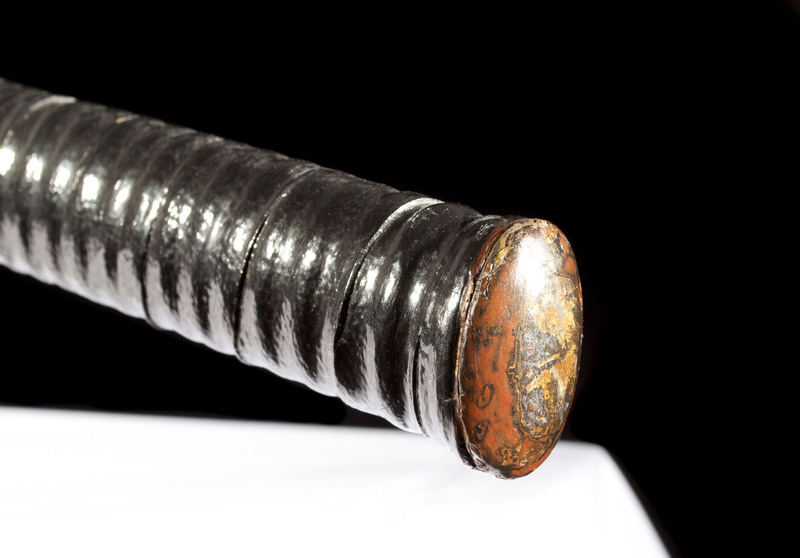 Unusual war Koshirae, probably from the same era as the sword, with a Saya and a Tsuka wrapped in lacquered leather. 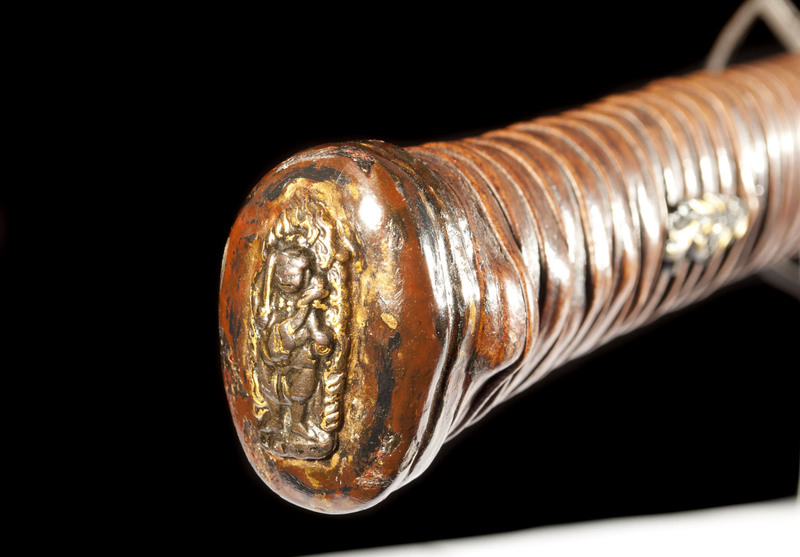 We can also see on the Kashira a representation of the Buddhist deity Fudo Myoo, the most important of the five great protective kings of Buddha. 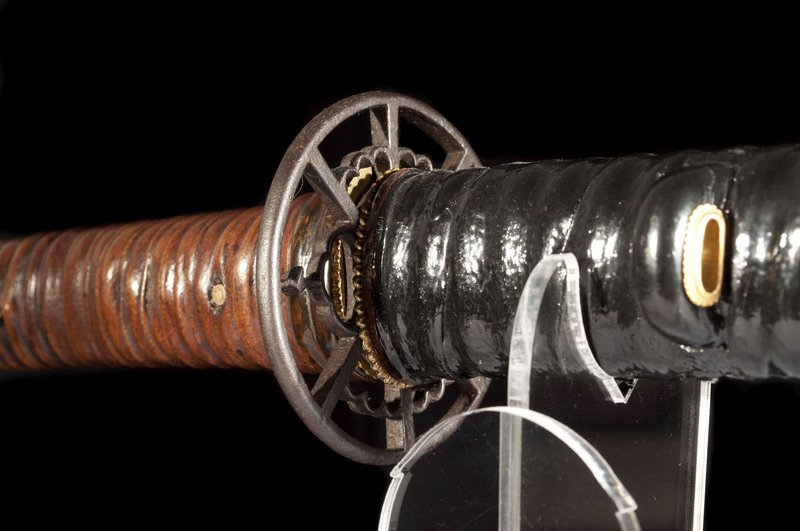 Katana on consignment belonging to a french collector.